Chalet Aline is lucky enough to enjoy both the seclusion of a quiet location overlooking the valley, and also proximity to the superb skiing and busy town of Meribel. The ski bus runs every 15 minutes or so and stops 400 metres (approx.) from the chalet. Chalet Aline has a look and feel which befits its alpine surrounds. A traditional stone and timber facade welcomes you home after a long day skiing, as does the chalet hot tub with its commanding position on the front balcony, helping you rest your limbs whilst taking in some sublime views. All main bedrooms enjoy similar valley views, allowing you to wake up and breathe in the mountains from your hillside home. The interior décor of the chalet uses classic materials in a contemporary style, with whitewashed walls complementing exposed woodwork. The light and fresh open-plan living and dining area is the perfect hide-away in which to unwind in the evenings, and opens onto a balcony from which to take in the mountain air. All bedrooms come with the added benefit of en suite facilities. Room 4 enjoys all the space of the entire top floor of the chalet, and as well having a double bed, comes complete with 2 extra beds for children who pay only half the adult full price, making this a great choice for families. Rooms 1-3 can be configured either with twin beds or a king-sized double bed, we will make them up as twins unless advised otherwise. Please Note : 2019/20 season Chalet Aline will be a 4+ grade property. Also the chalet will not receive a minibus service for 19/20. Room Supplements: Room 4 add £4 pp/pn. Children aged 2-11 years using the extra beds pay half the adult full price. 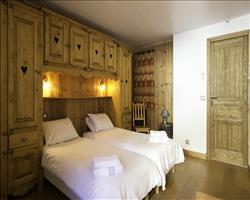 We update Chalet Aline's details often, but facilities do change. e.g. some extras listed by the supplier as "free" or included might only be for the first time you use them, or for one time per party, then charged for further use. If any specific feature is essential to your holiday, make sure you ask us to confirm the details of it before you book your holiday. This all inclusive holiday to Chalet Aline in Meribel & Mottaret, France departs Saturday 11th April 2020, for a 7 night stay on a "catered chalet" board basis. A local tourist tax (Taxe de Sejour or Kurtaxe) is levied by many councils in European ski resorts. It varies by standard and type of accommodation and is age dependent, so not everyone is charged. It's not included in the basic price of your holiday and is usually paid locally. For reference, the average charged in winter 15/16 was between 50p and £2 per person, per night. Meribel & Mottaret lift pass price last reported as €212 (adult 6 day). 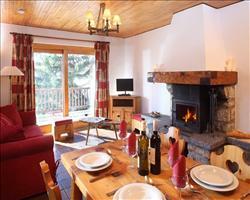 Ask for a quote when booking Chalet Aline. 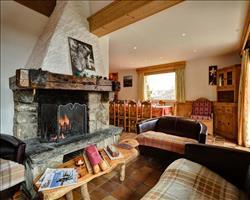 Chalet Andre Meribel & Mottaret France, Gatwick to Grenoble 11th April. Chalet Elodie Meribel & Mottaret France, Gatwick to Grenoble 11th April. 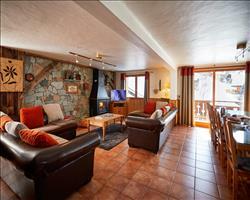 Chalet Emilie Meribel & Mottaret France, Gatwick to Lyon 11th April. 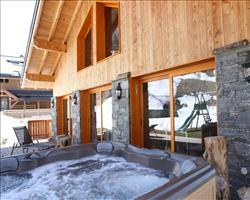 Chalet Daurel Meribel & Mottaret France, Gatwick to Lyon 11th April.